There are times in life when a team does everything the right way, yet the universe does not see fit to reward the effort. 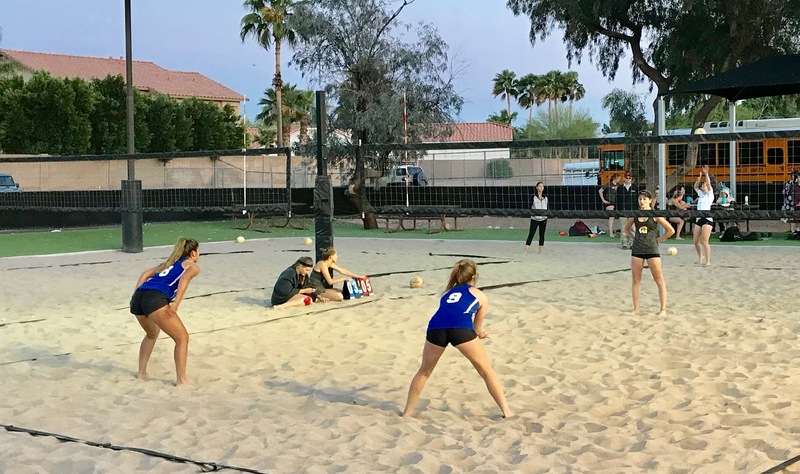 Such was the case of the Chandler High beach volleyball team Wednesday evening. Chandler fell to Gilbert High 4-1 in a tough division road loss, dropping its record to 0-3 in sectional play and 4-5 overall. However, the loss could not be attributed to attitude, communication or a lack of heart, as Chandler competed all night long. Chandler's No. 4 seed duo of senior captain Morgan Panlener and sophomore Jess Ferguson enjoyed a rally during an early match that epitomized the entire evening for the Wolves. Losing 14-13, they battled in an epic rally as players from both schools displayed great communication and teamwork. An amazing cross-court run by Panlener to dig a shot on the far sideline to keep the point alive was the highlight of the match and the type of effort displayed by every player from Chandler on the night. However, Panlener and Ferguson lost the heartbreaking point when a well-placed short volley barely cleared the net and landed in bounds. 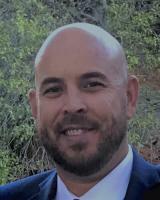 "I think we came in prepared for the win, and I liked the way my girls played," said Chandler head coach Allen Alexander. "You can't beat yourself up when they make good shots." Chandler's effort pushed three of the five games to a third set, but the team managed to win just one match. The No. 2 seed duo of junior Cierra Bevilockway and sophomore Makenna Carrillo entered its match with passion and confidence. Gilbert attempted to serve the ball to the taller Carrillo, forcing Bevilockway to play the net, but she was up to the challenge and spoiled the Gilbert game plan with inspired net play. Bevilockway amassed kills all night long and powered Chandler to a win in the first game, 21-14. "I play indoor, and right now my coach is having me play all-around outside, so I'm getting practice," said Bevilockway. Gilbert recovered in the second game to win a close 21-19 set, but Bevilockway and Carrillo would not be denied rallying to win the match in the third and final set. Chandler would not win another match, but team spirit never faded. The most impressive display of teamwork and communication came during the final match of the night between the No. 1-seeded teams. Seniors Mikaila Williams and Rosa Alvarado showed why they are one of the best duos in the state when they are on their game. The senior pair called out shots and made precise passes operating like an efficient unit as they won the first game 21-15. Gilbert had difficulty finding open spaces to place their shots as Williams and Alvarado covered the entire court, swarming to every ball as their teammates cheered them on. Gilbert rebounded and won the match after a hard-fought third set, but Willimas and Alvarado never lost their composure or joy. "We had so much fun," said Williams. "It was a tough loss, but that just inspires us to push harder to win out these next three games." "This is the happiest I've been all year," he said. "Winning is easy and fun but losing determines who you are as a person. They fought and did everything I needed them to do." Chandler's next game is April 12 at Casteel High School against the Sunnyslope Vikings at 4 pm.